At Ben and Nino auto repair services, we consider our customers as a priory in our business. We care about the safety of families in Borough Park Brooklyn, and we understand the importance of vehicles to them. We committed to providing for their automobile needs and provide numerous towing services. Whether you were involved in an accident or experiencing engine troubles, we work to quickly get your vehicle off of the road and to a nearby repair center. Not all breakdowns happen on the road, but we are committed to helping you move your broken down vehicle no matter where it may be. If your vehicle won’t start and is blocking your driveway, we will come and tow it to any repair center you choose. 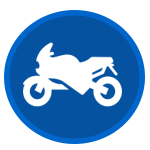 Bikes break down too, and transporting a damaged motorcycle can be just as much a hassle as transporting a damaged car. At Ben and Nino, though, we are happy to offer affordable motorcycle towing services. Do you have an old scrap car laying around that you’ve been meaning to take to the junk yard? We will tow it there for you and help you convert that pile of scrap metal into cash. 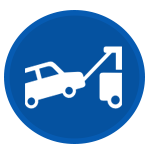 If you are in Borough Park Brooklyn and ever find yourself in need of towing services, we hope you will give us a call! Ben & Nino Towing and Auto Repair has become a leader in roadside assistance and precision towing. We are here to assist people in the Borough Park, Brooklyn, community 24/7. Call us anytime at (718) 339-8500.